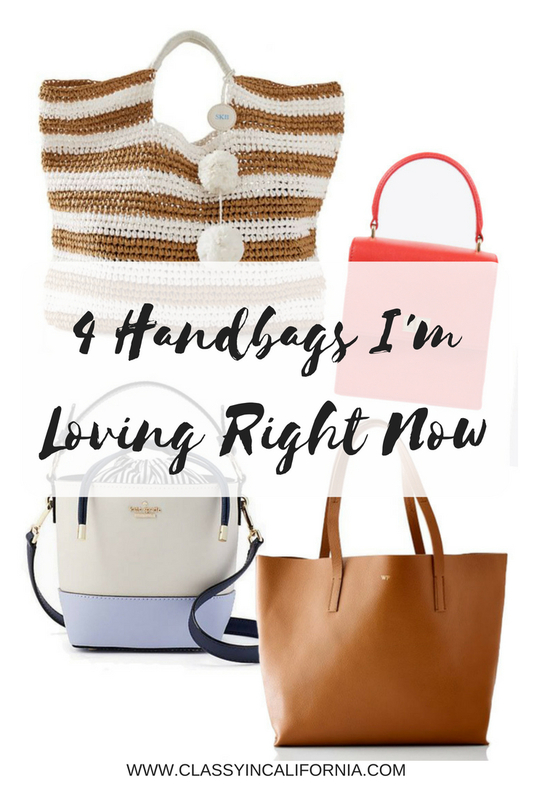 Handbags have always been my favorite item to splurge on. 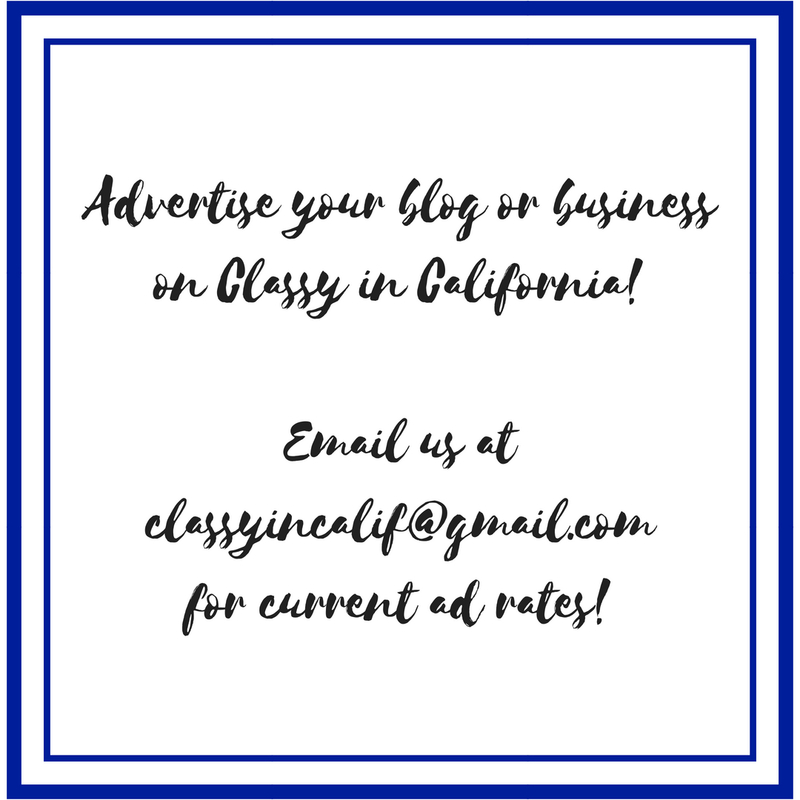 I think they can make the perfect investment pieces, if you pick items that are classic and could be used for multiple seasons or years to come. I have recently purged some bags from my collection and I feel like that has definitely left some holes that I need to fill with new bags. I've been window online shopping for a while now for new bags and these are my current top 4 contenders to possibly enter my collection soon! They each could potentially fill a different handbag need and I think they could be easily worn for many years. The first handbag that I'm loving right now is the Rio Tote by Mark and Graham. 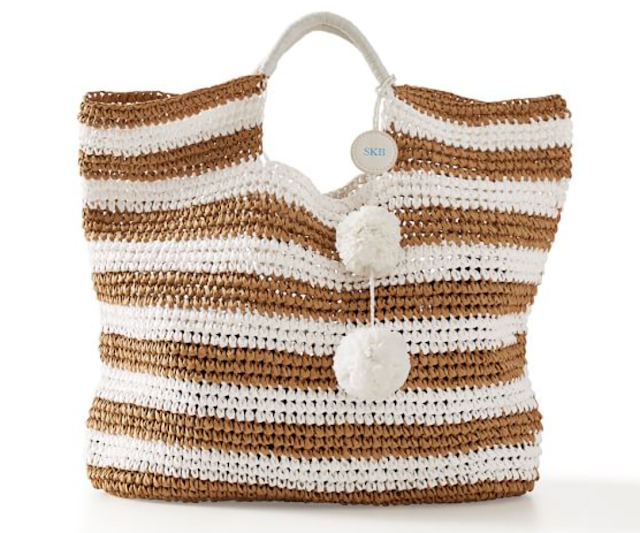 This is such a cute summer bag for the beach, pool, or a day out exploring. My current pool/beach bag like this has pops of bright pink, which I love, but it would be so nice to also have a more neutral option in my closet. 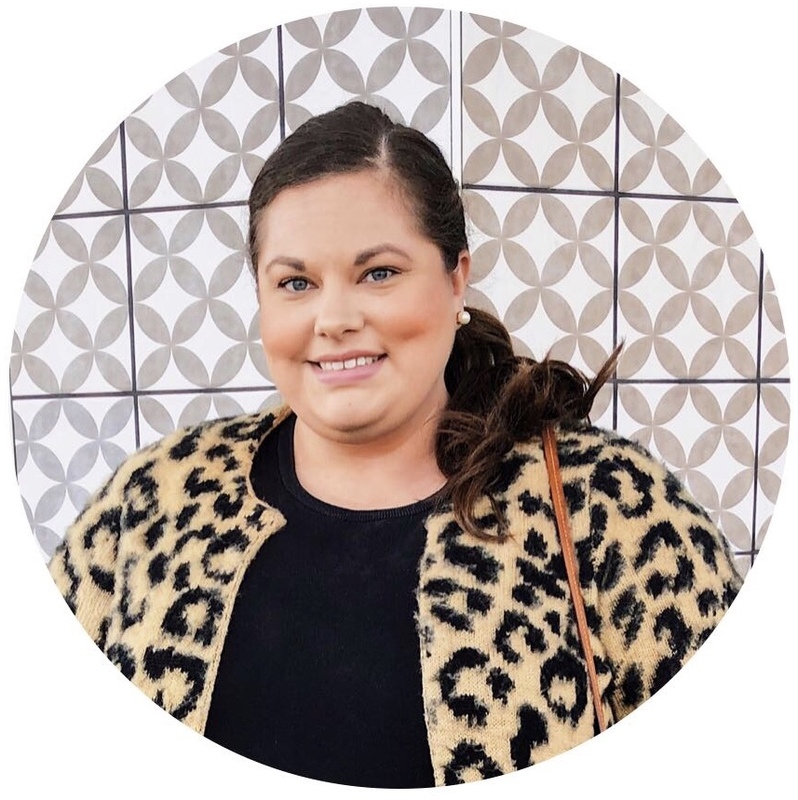 I'm also such a sucker for stripes and pom-poms! 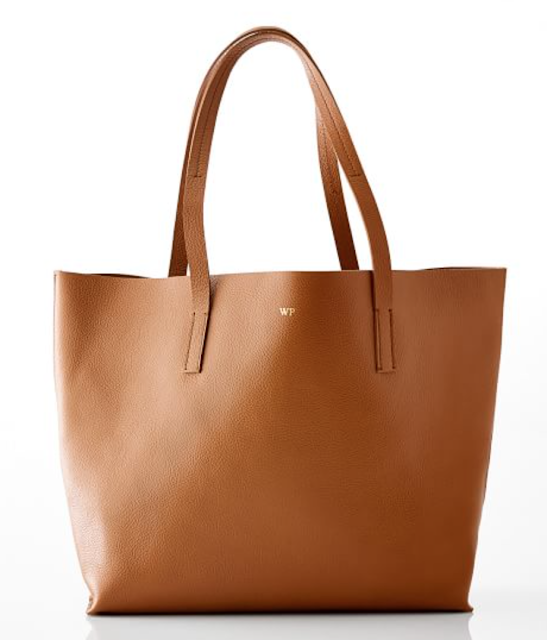 The Rio Tote by Mark and Graham is $49 and can be monogrammed for free! The next bag that I'm loving is this East/West Leather Tote by Mark and Graham. This is definitely not a bag that I'm lusting over for the summer, but I think this would be an amazing work tote for me to use when I head back to work this fall. It is made out of leather and can be monogrammed with gold foil letters for $9.50! It's also nice and big enough to carry all your daily work necessities. The East/West Leather Tote by Mark and Graham is $199. The next bag that I'm loving right now is the Mini Lady Bag by Neely and Chloe. This bag is basically the complete opposite of the previous tote! This is a super small handbag that's perfect for days when you don't need to carry everything with you. I love using smaller bags on non-work days or when I'm out exploring for a day. I also love that this little bag comes in so many fun colors. 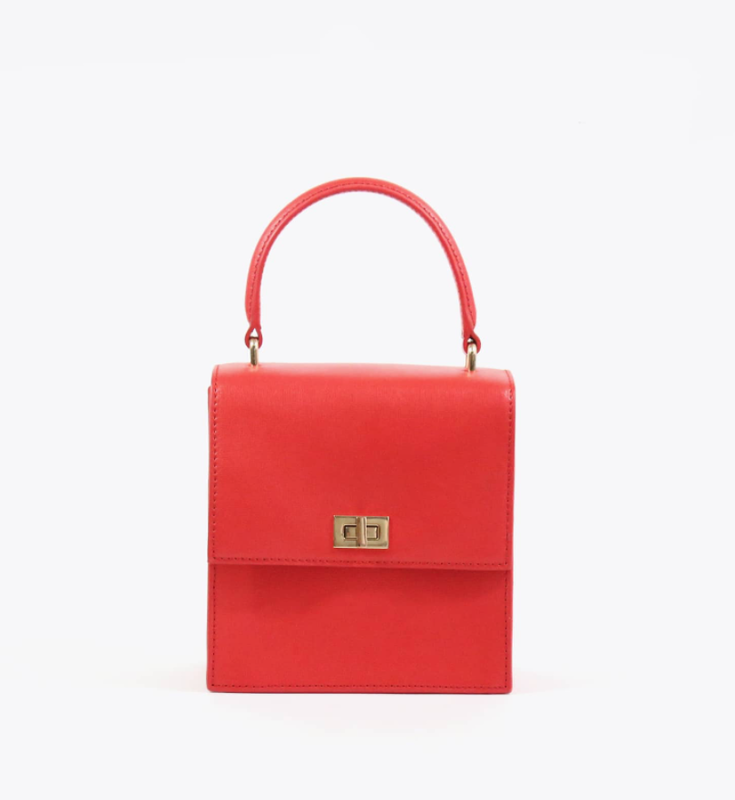 I love the look of a pop of red in an outfit so I'd definitely go for this bag in red! The Mini Lady Bag by Neely and Chloe is $168. 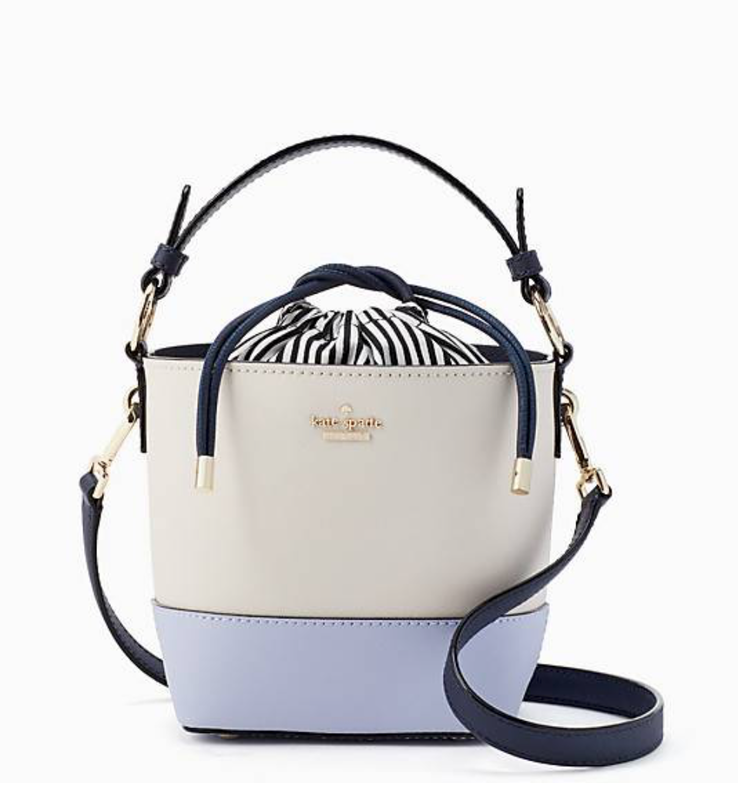 The last bag I'm loving is the Cameron Street Pippa by Kate Spade. This is another small bag that you can carry by hand or with a crossbody strap, except this one is a super cute bucket style bag with a drawstring tie top! I love the two-tone leather with the cream and light blue especially with the navy trim and strap! This bag would be adorable to use for the rest of the summer as an easy everyday bag! The Cameron Street Pippa by Kate Spade is $258. Which bag is your favorite? Do you have your eye on any handbags right now?